Virginia Classic Mustang Blog: Mustang Recognition Guide - This Book is available again!! 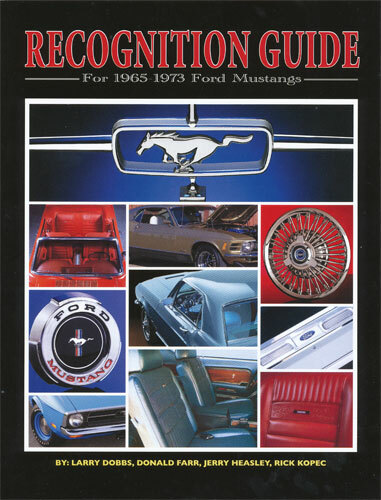 Mustang Recognition Guide - This Book is available again!! After being out of print for a year or so, the Mustang Recognition Guide is back and now in stock! I have always thought that this was one of the best reference books for the Classic Mustang. Each section touches on the unique features of each model year, options, colors, etc. There are tons of color pictures also. It is a book that every Mustang owner or enthusiast should have. 226 pages. Written by Larry Dobbs, Donald Farr, Jerry Heasley, and Rick Kopec. Our part number is LT14.